PRD Nationwide, a nationally established real estate company with an office in Werribee for more than 15 years has recently opened a new office in Derrimut. The company has worked with uClick Solutions to install with signage for the new office, and new print marketing collateral for their company. A leading real estate company led by Director Michael Stocjevski, PRD Nationwide knows the impact of branding and design consistency. Their new Derrimut office will be extend the reliability, work ethic and trustworthiness that customers have come to associate with PRD Nationwide. The company has commissioned design, print and signage company uClick Solutions to produce and install the signs for their new office – which consists of 3 light boxes, window frosting with PRD’s logo embedded into it, and several square meters of high quality printed laminated vinyl signage. Aside from the new office’s signs, uClick Solutions will also produce several print marketing collaterals for them, including new to the market, luxurious velvet laminated business cards. 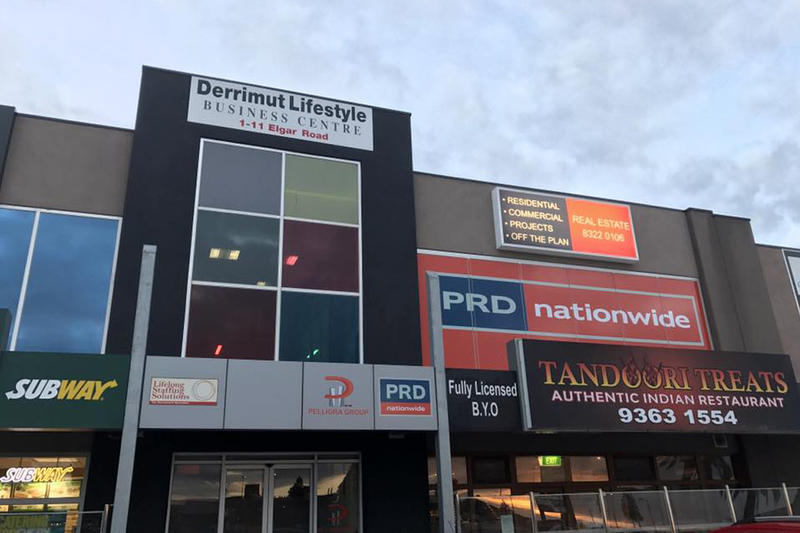 Just like PRD Nationwide, uClick Solutions has recently opened an office in Derrimut and we can help your company to sell more, with the use of high quality signage and marketing collateral coupled with contemporary professional design. We offer a wide range of marketing services and products. Are you desperately in need of high quality business cards, light boxes, window frosting, signs and other print collateral? Work with us here at uClick Solutions – we will design highly effective signage and marketing materials to get your business noticed.